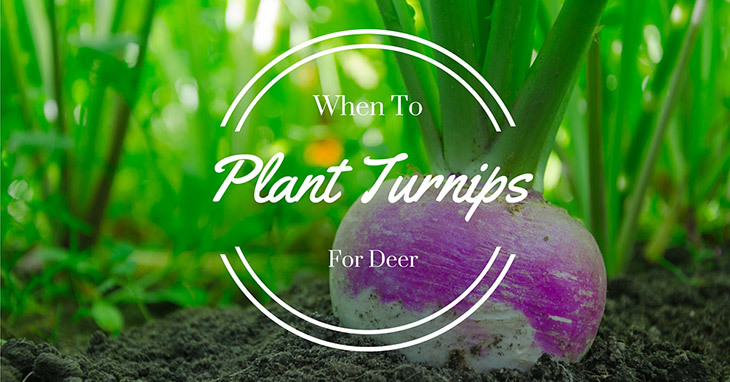 →When To Plant Turnips For Deer? Turnips are a definite go-to crop for food plots if you want to attract and hunt down those deer. However, do you sometimes find that your turnips are being totally neglected by deer, and are leaving you with a whole plot of untouched turnips? If this is the case, the problem most likely resides in the timing of your planting. You may not be aware of exactly when to plant turnips for deer, and when the proper season is for these crops to yield the best results. Nevertheless, we are here to teach all you need to know so that you can have productive hunting sessions. Having a well-maintained food crop is one way in which you can lure deer to an area where you can more easily hunt them down. You have probably tried planting various kinds of crops for your food plot, but one crop that many will find to attract a lot of deer are turnips. What is great about turnips is how much nutrients and protein they contain that can make deer bigger and healthier. Also, no part of the crop will go to waste because deer eat both the leaves on top, as well as the turnips itself that are buried in the ground. Usually, deer will eat the leaves on top first, and then proceed to finish the bulbous roots once all the leaves have gone. Moreover, the fiber content of turnips does not increase as the crops mature, and make them easier to digest by deer. Another special characteristic of turnips that make them more advantageous to have than other crops, is that they can survive the harsh winter weather. Now, this particular attribute is what you must pay attention to if you want deer flocking to your food plot for your turnips. Unlike a lot of other crops, turnips do extremely well during the cold seasons. During winter, deer eat turnips up firstly because they probably cannot find food that can provide them the nutrition they need elsewhere. Secondly, turnips become very palatable to deer once the crops experience cold weather. The cold matures the turnips and leaves them tasting sweeter, which deer enjoy eating. Young turnips that have yet to mature taste very bitter, and are obviously not very attractive to deer. If you want your turnip-planting to be a success, you must pay attention to this reaction of turnips to the cold. One crucial mistake made by hunters that lead to their turnips not being eaten by deer is that these crops are being planted at the wrong time of the year. They are either not at their full maturity when they are most sought after, or these turnips are not allowed to develop their flavor that is most appealing to deer. Both of which take place during the colder seasons. It should also be noted how turnips experience vigorous root growth also when the temperature is low. Turnips are able to grow very fast, and reach maturity at around 60-90 days after planting. Knowing this, and how turnips are at their best when they reach maturity around winter time, you will now be able to deduce when the best time it to plant turnips in your area. Generally, deer do not prefer to eat turnips in the middle of the spring and summer months. 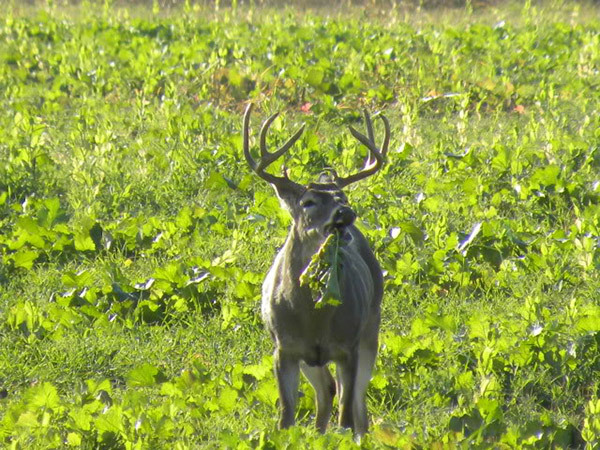 It is not until the first frost during around October to May that turnips become sweet and appealing to deer. Both the tops and the roots will then be feasted on by deer once winter starts rolling in. In Northern areas where winter comes earlier, it is best to plant turnips sometime during late summer, which is around the months of July and August. For those who are in the Southern parts, on the other hand, temperatures get cooler relatively later. So the best time to plant turnips in these areas would be during early fall, around August to September. Although these dates are what’s recommended, they are not strict to the day. Do not panic if it has already past these months and you still have turnip seeds to plant. The optimal time to plant your turnips may still depend on the climate in your area, that may vary greatly from place to place. When wanting to attract deer, turnips are definitely a great choice of crop to plant in your food plot. How successfully they bring in deer, however, may depend greatly on when they are planted and how deer react to them during a certain season. Turnips, in particular, are at their best during the winter months. And it is to your advantage if you take the seasonal changes and maturity time of turnips into consideration when planting. With this useful information, you can now take your bowhunting even further. Comments and reactions will be very much appreciated.